The educational film Classical Riding Today contains the summary of a two-day clinic with Horst Becker in the magnificent ambiance of the Court Riding School at Bückeburg Castle. 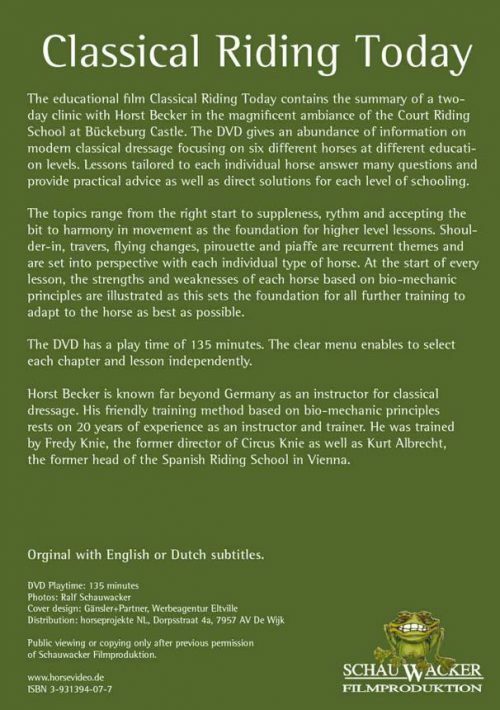 The DVD gives an abundance of information on modern classical dressage focusing on six different horses at different education levels. 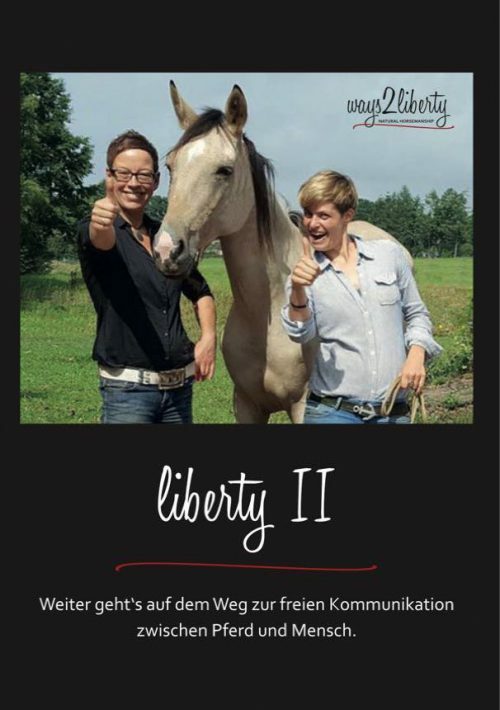 Lessons tailored to each individual horse answer many questions and provide practical advice as well as direct solutions for each level of schooling. The topics range from the right start to suppleness, rythm and accepting the bit to harmony in movement as the foundation for higher level lessons. 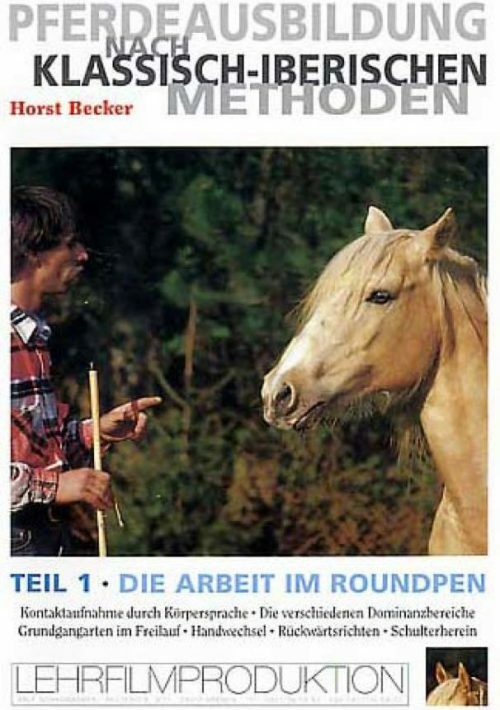 Shoulder-in, travers, flying changes, pirouette and piaffe are recurrent themes and are set into perspective with each individual type of horse. At the start of every lesson, the strengths and weaknesses of each horse based on bio-mechanic principles are illustrated as this sets the foundation for all further training to adapt to the horse as best as possible. The DVD has a play time of 135 minutes. The clear menu enables to select each chapter and lesson independently. 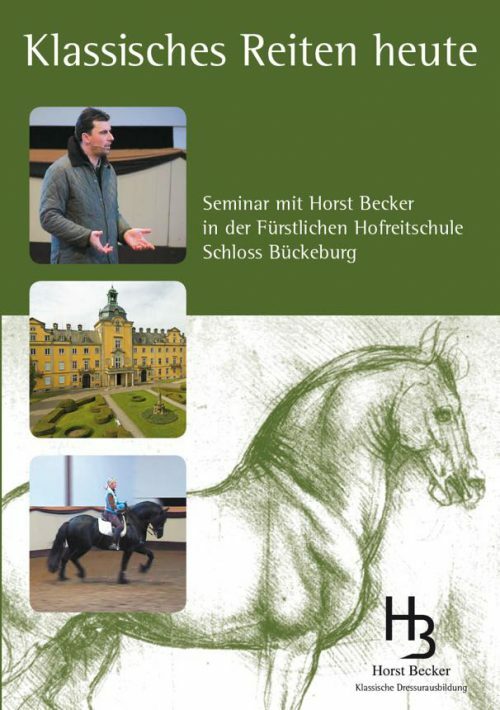 the former head of the Spanish Riding School in Vienna. 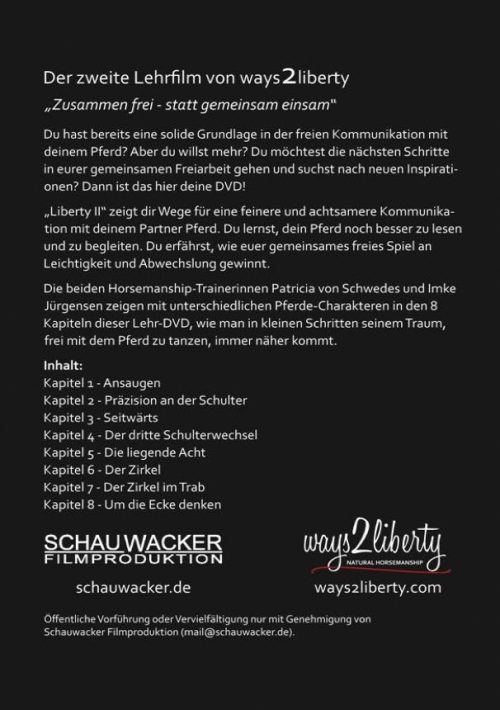 Orginal with English or Dutch subtitles.